Ensure your hydraulic pumps and cylinders are performing at the best possible level with some top quality hydraulic oil. All of the hydraulic fluid available here at SGS provides smooth and reliable operation of hydraulic tools in various conditions. From standard hydraulic oil for sale, to flame-out fire resistant fluid, all sorts of options are available. Whether you need it for personal use at home or an industrial sized carton for professional use, as one of the best hydraulic oil suppliers on the market, you can find anything you need here. 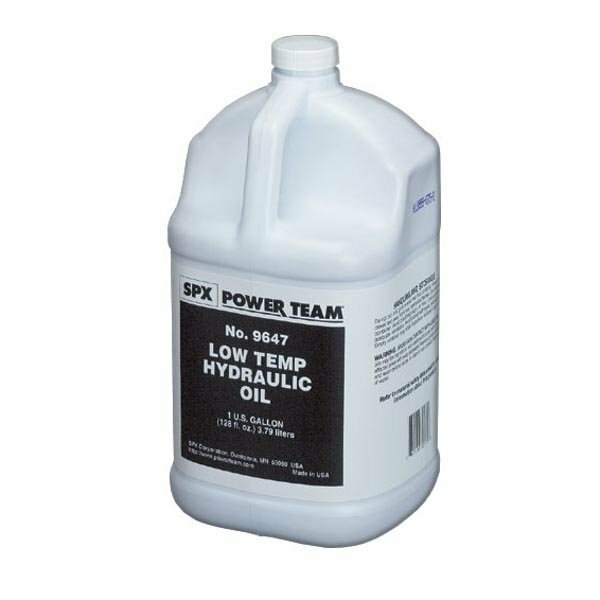 The Power Team hydraulic oil on offer includes standard, biodegradable, low temperature and fire resistant hydraulic fluid. Standard oil can be used for getting the best performance out of your hydraulic pumps and cylinders, while low temperature is best to ensure reliable operation when used in cold conditions. Biodegradable hydraulic oil has been developed to meet environmental needs for non-toxic options, while still matching performance requirements, and features many more acceptable methods of disposal. Fire resistant hydraulic oil can operate at a wider range of temperatures and provides maximum lubrication and heat transfer.